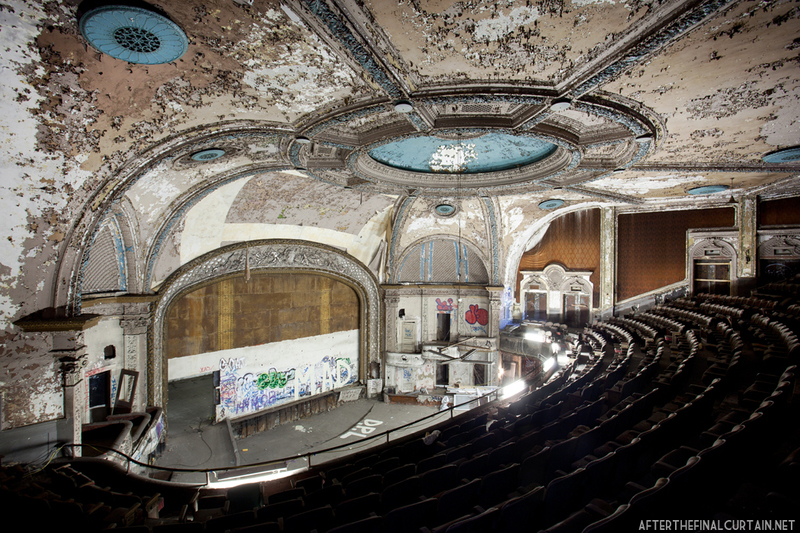 The Varsity Theater in Evanston, IL opened on Christmas Eve in 1926. 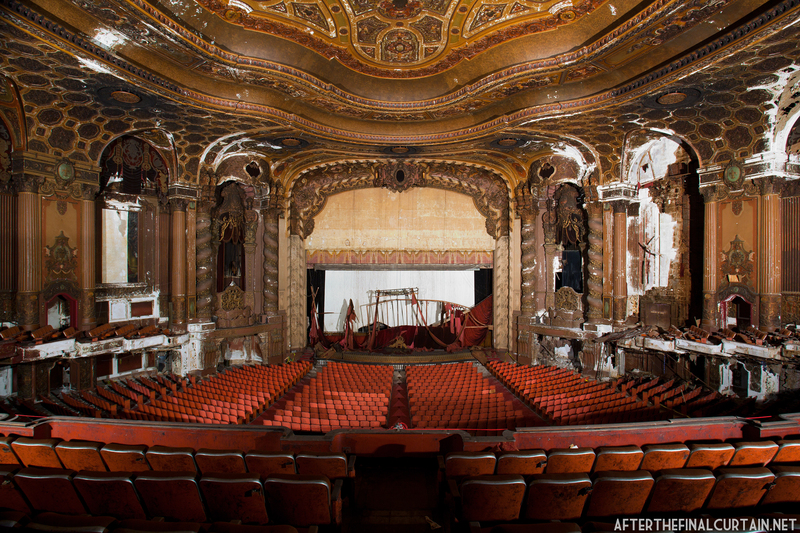 It was designed by Chicago architect John E. O. Pridmore, who is also known for the nearby Vic Theatre. Clyde Elliot, an Evanston native who had worked in Hollywood before returning to his hometown to open the theater, commissioned it. 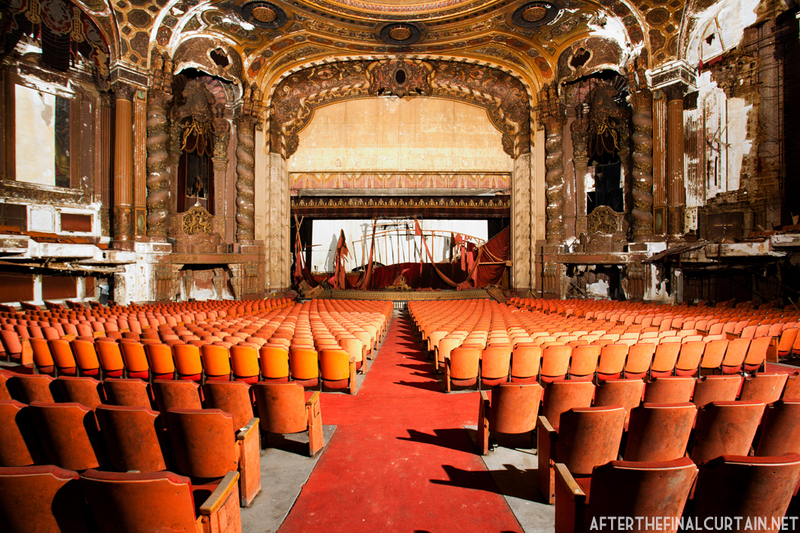 Upon opening the 2,500 seat Varsity was one of the largest neighborhood theatres in the Chicago area, and the largest in Evanston beating the nearby Coronet, Hoyburn, New Campus, and Valencia Theatres. The mezzanine level of the lobby. 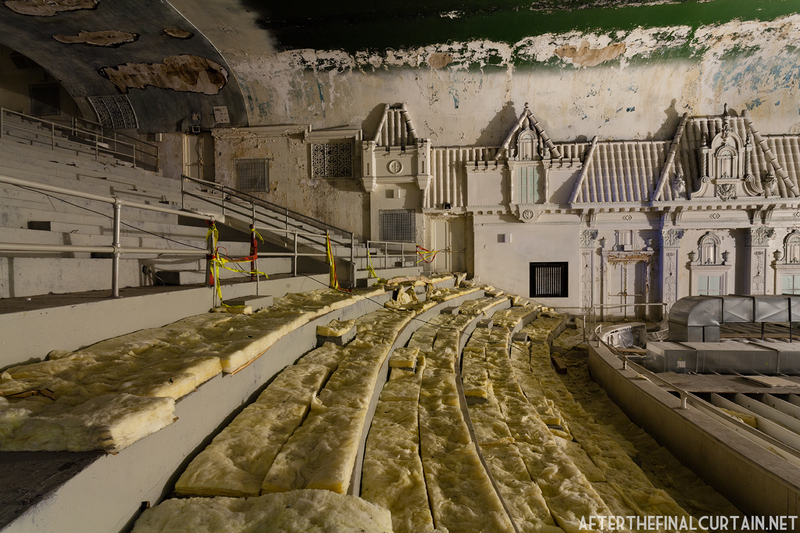 An Atmospheric theatre, the Varsity was designed to give the illusion that you were sitting in a courtyard under the night sky and in the case of the Varsity it was the courtyard of a French Royal Chateau. The side walls featured marble imported from Italy, and the stage area resembled a lowered drawbridge. As with other atmospheric theatres, it also featured small twinkling lights in the ceiling to give the appearance of stars, with clouds projected across the ceiling from projectors located on both sides of the auditorium. 600 of the 2500 seats were located on the balcony level. The Varsity opened with with a short serial “The Collegians” and the feature “Man of the Forest” which starred Jack Holt and Georgia Hale. In the early 1930’s the theater became part of the Balaban & Katz theatre chain, which was controlled by the Famous Players-Lasky Corporation, a forerunner of Paramount Pictures. A Geneva organ was installed in the theater when it opened, and the console was painted to resemble a cottage with roof tiles made of terra cotta. As with many of its contemporaries the organ did not see much use later in the theater’s life and was eventually removed. It was acquired by Karl Werner, who installed it in his home. Werner later moved to Arizona and took the organ with him, but when he passed away his family disposed of the organ. 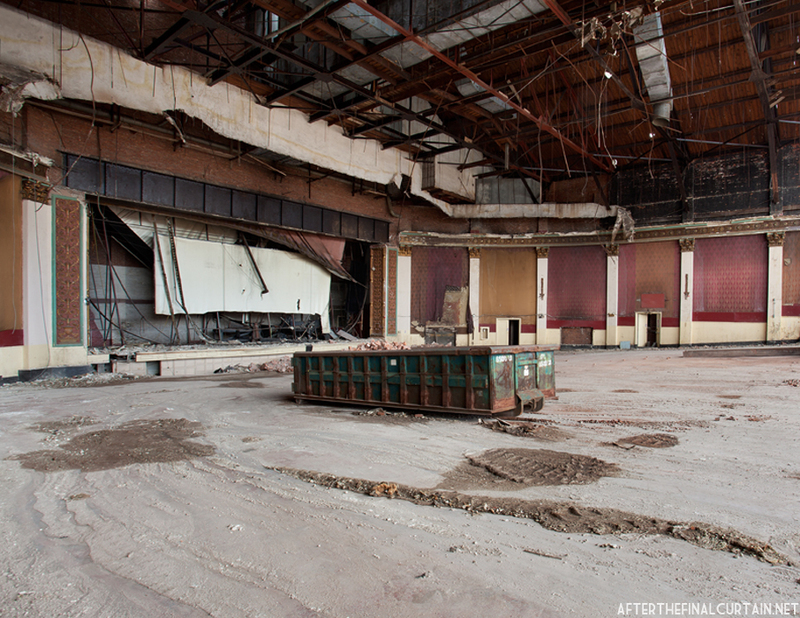 A drop ceiling is all the separates the retail space on the orchestra level from the remains of the balcony. 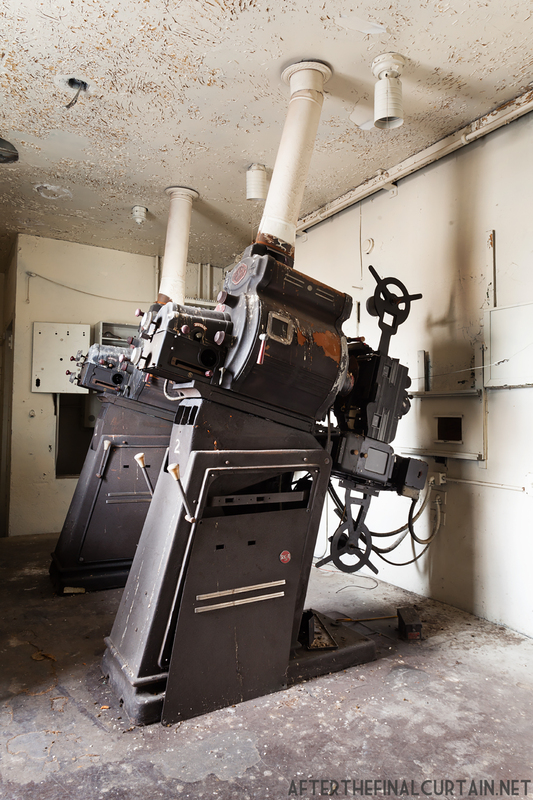 In the 1980’s the nearby Evanston Theater, originally known as the Stadium Theatre, was purchased by the Loews Corporation, and enlarged from a single screen to a five-screen theater. 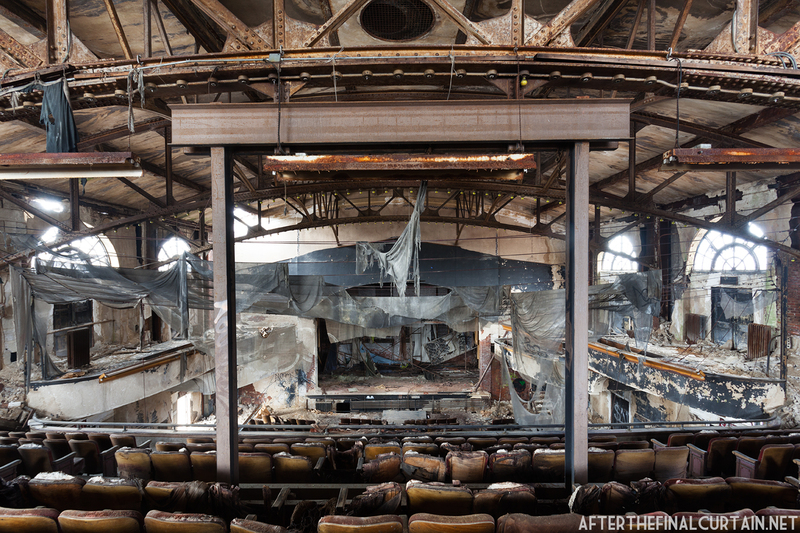 As multiplex theatres became to be the norm, single screen theaters like the Varsity struggled to stay open. The Coronet Theatre, another Evanston single screen, closed because of this in 1984, and the Varsity followed in 1988. 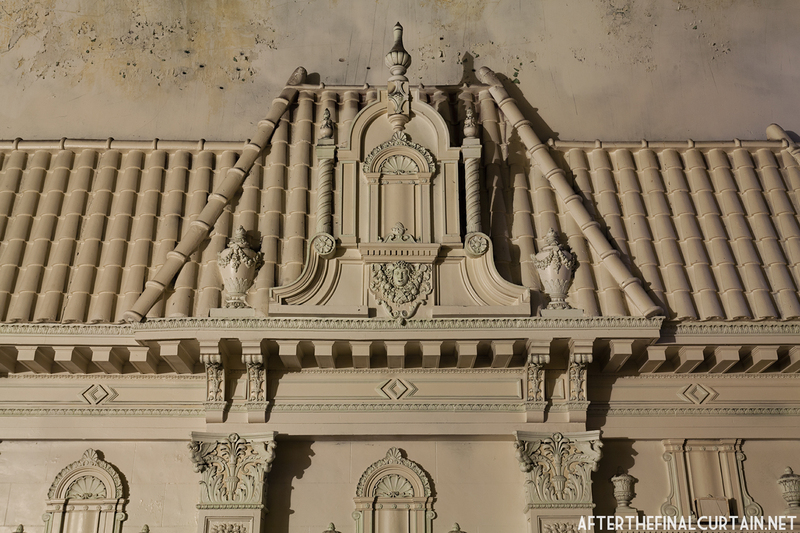 A close-up of some of the whitewashed plasterwork on the balcony. 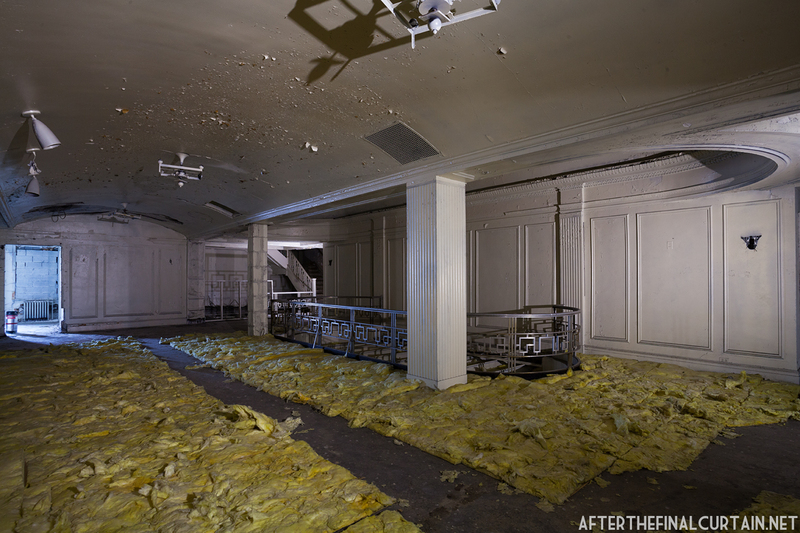 Almost immediately after the theater closed, the main level and lobby were gutted and turned into retail space, which is currently occupied by a Gap clothing store. In 2010, the City of Evanston received a $50,000 grant from the National Endowments for the Arts to conduct a feasibility study on reopening the Varsity as a performing arts center. 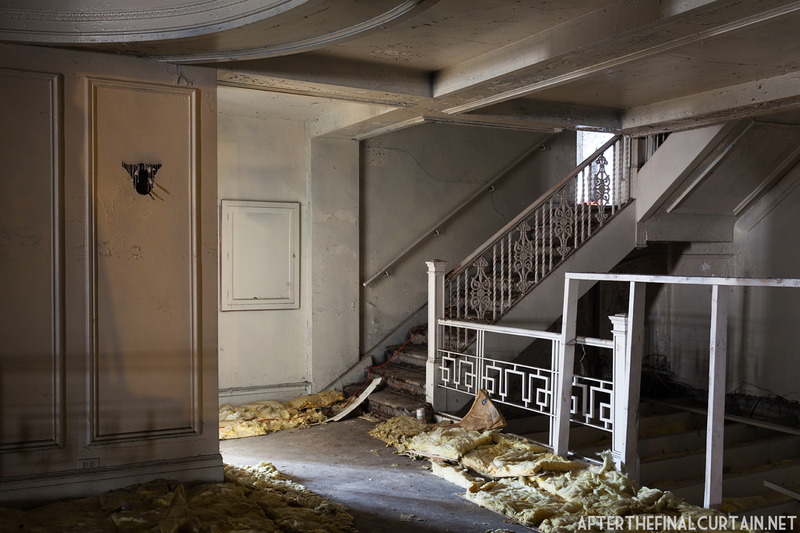 In July 2011, the study concluded that given that the first floor of the theater was currently occupied by a retail store, and not available for redevelopment, that the performing arts needs of Evanston are greater than the Varsity Theatre could accommodate alone. They recommended developing a number of performing arts spaces in downtown Evanston, instead of just one central location. 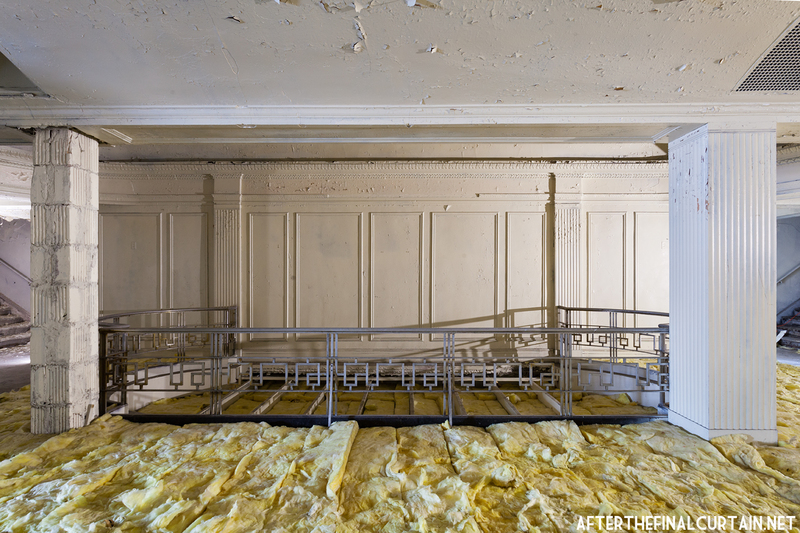 Much of the floor in both the balcony, and the lobby mezzanine is covered with insulation. 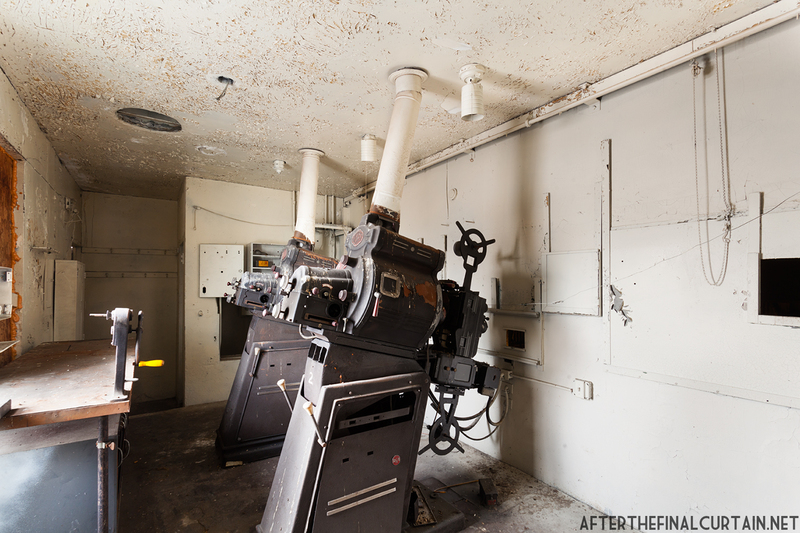 Two projectors remain in the projection booth. Large castle turrets located on each side of the stage were removed when the orchestra level was converted into a retail space. It’s December so that means it’s time for our annual Holiday Print Sale! From now until December 31, 8×12, 12×18 and 16×24 prints are 50% off when you use the coupon code holiday2015 at checkout. 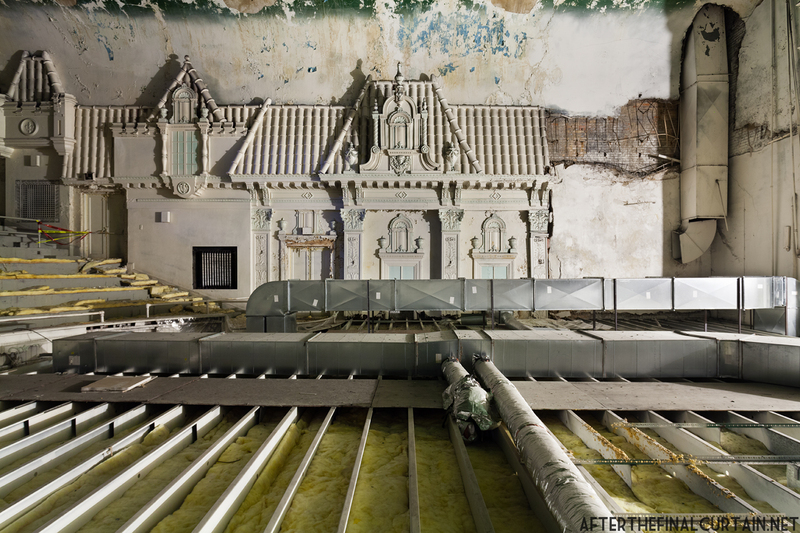 After the Final Curtain is a personal project, and all profits from your print purchases help me to continue photographing endangered theaters across the United States. The fresco on the curtain is of a spanish villa. The Embassy Theatre in Lewistown, PA opened on Monday, October 17, 1927. Before the Embassy was built the National Theatre stood in the same location and was partially demolished in early 1927. The Embassy was designed by A. D. Hill of the Philadelphia firm H.C. Hodgens and A.D. Hill. 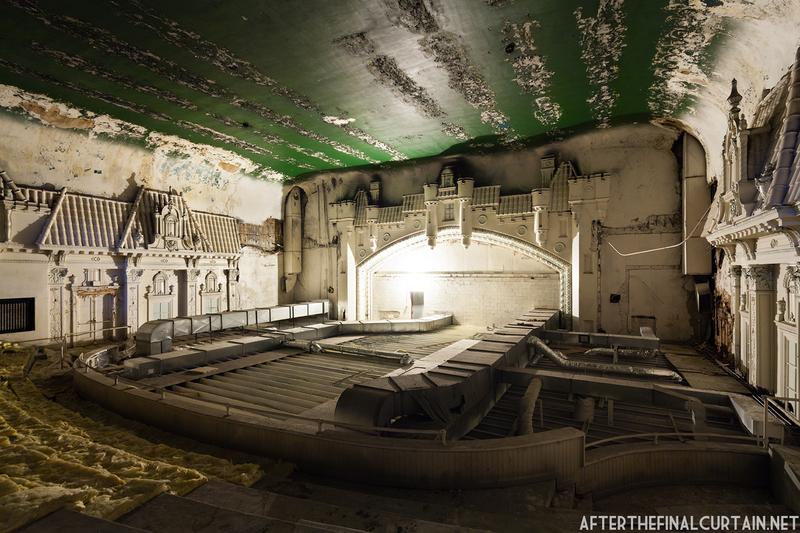 The firm is known for its 1928 design of The Tower Theater in Upper Darby, PA, which is still in use. The Embassy was lavishly decorated and referred to as “the Radio City Music Hall” of Central Pennsylvania. 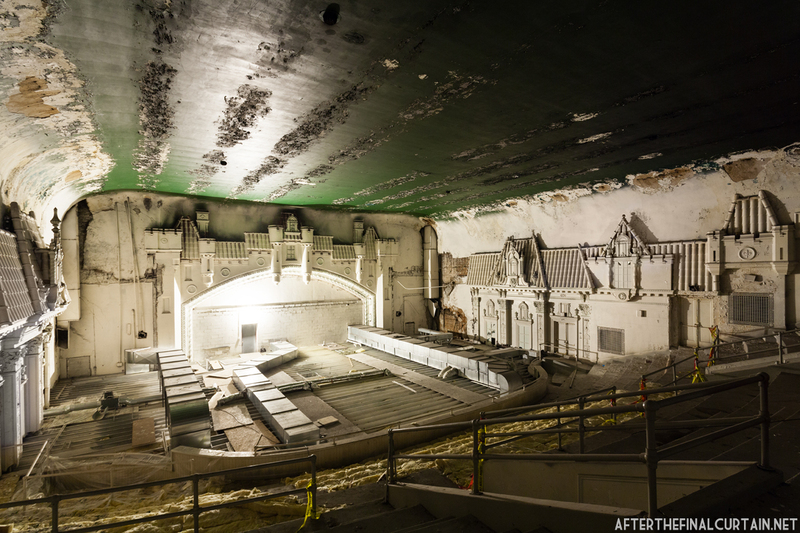 Located on the top of Proctor’s Palace Theatre, Proctor’s Palace Roof Theatre also opened on November 22, 1915. 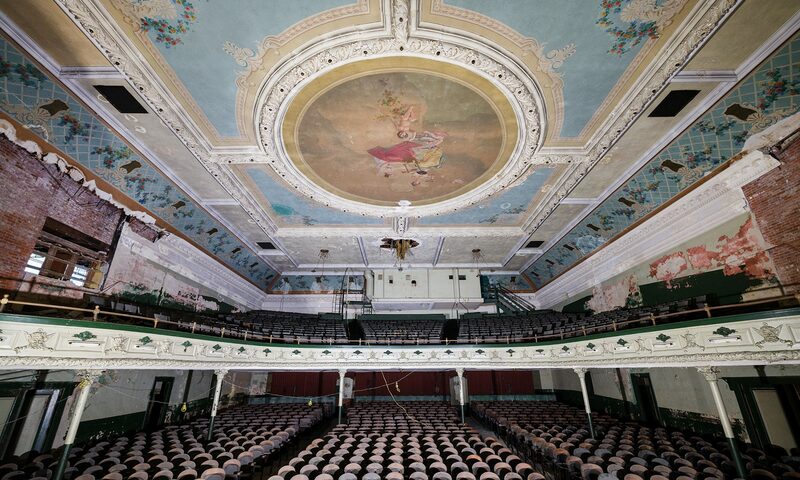 The Palace was originally used for smaller vaudeville productions before switching over to film at around the same time as its downstairs counterpart. 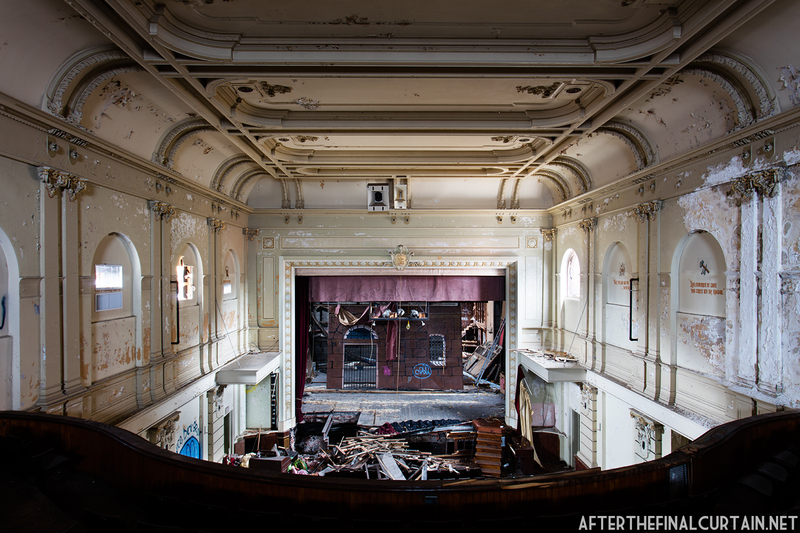 Two photographs of the auditorium taken almost exactly 5 years apart. 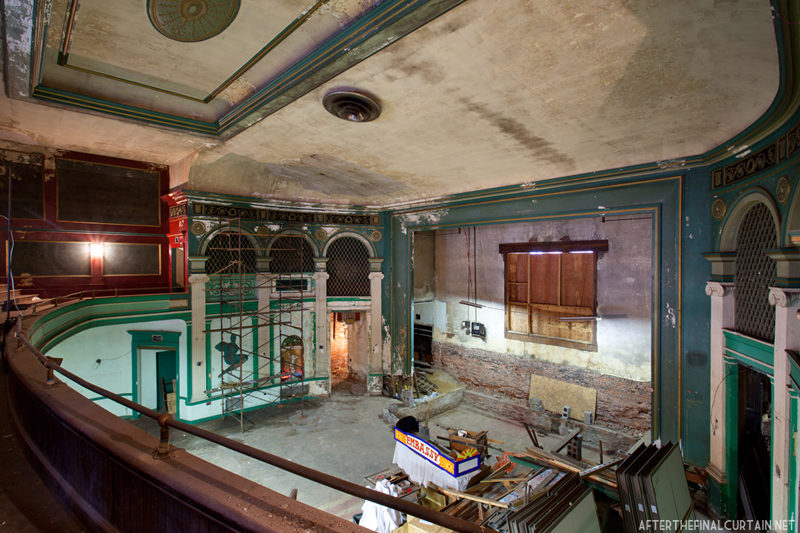 View from the center of the mezzanine. 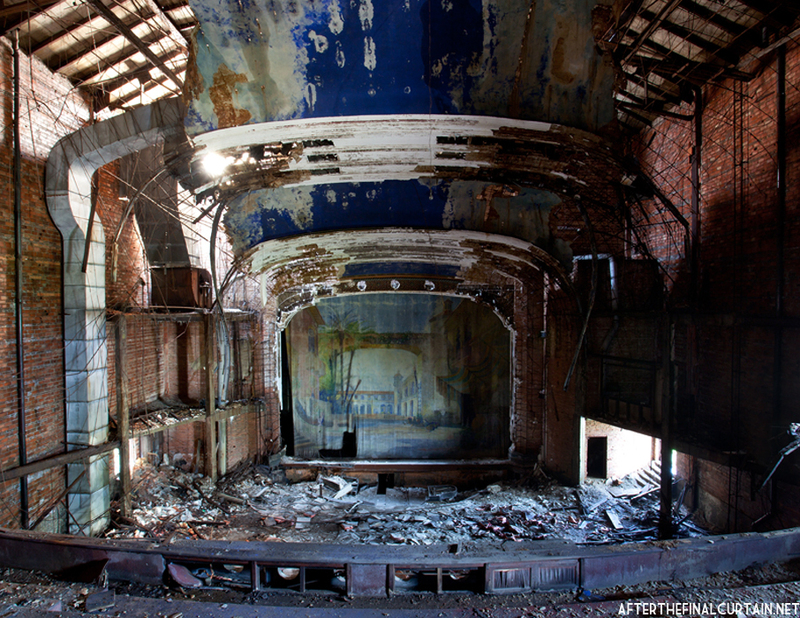 RKO Proctor’s Theatre opened in Newark, NJ on November 25, 1915 as the Proctor’s Palace Theatre. 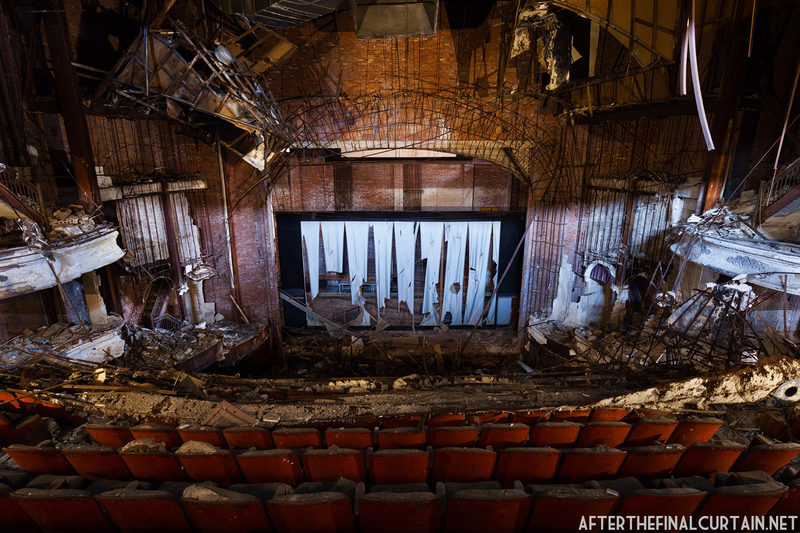 The architect was John W. Merrow, the nephew of Proctor theater circuit owner Frederick F. Proctor. 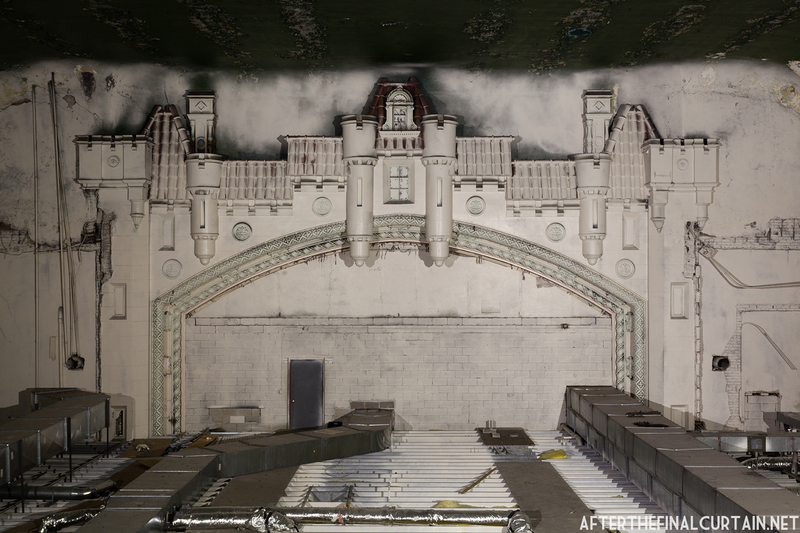 The Palace was a double decker theater, which meant that one auditorium was stacked on top of the other, a rare design choice at the time. 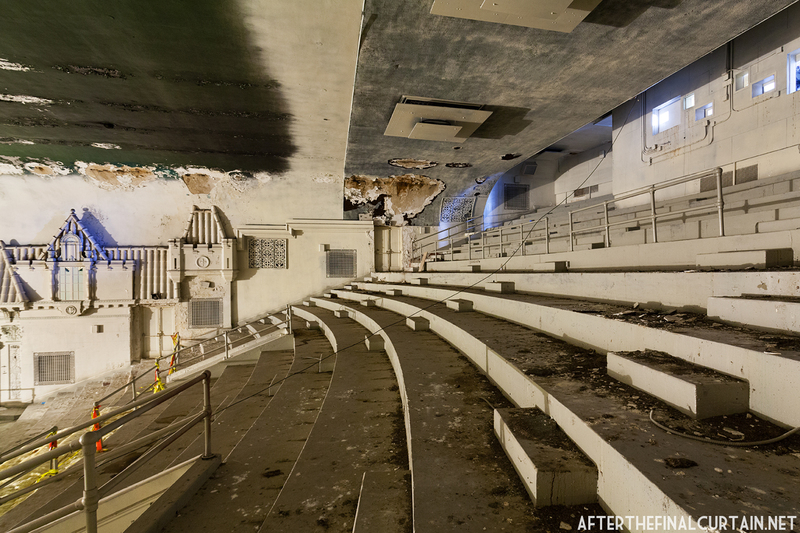 The lower, street-level auditorium had 2,300 seats and the upper had around 900. The space was among the largest and most open in the area, leading the city to use it as the site of it’s 250th anniversary celebration in 1916.